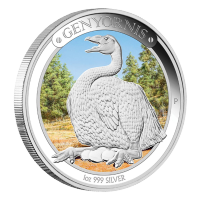 This round is perfect for Silver Shield collector's, and a reminder that you don't need to be a bankster to spread debt and death. This is a limited release. 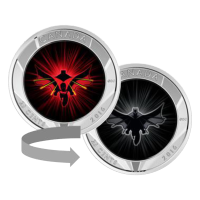 1 oz 2015 Silver Shield Collectivism Kills Silver Proof-like Round The 2015 Silver Shield Collectivism Kills silver round is the latest release in the "Debt and Death" theme from Silver Shield. This round features a skeletonized version of Mao Zedong. Chairman Mao ruled China from 1945 until his death in 1976. In 1957 he launched China's "Great Leap Forward" in an attempt to transform China into a modern industrial society. This program led to widespread starvation and disease and is thought to have caused 45 million deaths. When you add in forced labour deaths and executions of political prisoners it is thought that he was directly responsible for 80 million deaths, making him history's worst mass murderer. 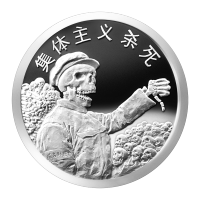 The obverse of this round features a skeletonized Chairman Mao wearing his trademark coat with an armband that reads "Debt and Death". He has a pile of bones from his victims behind him, and the willing and complicit masses in front of him awaiting his command to commit the next atrocity. The top of the round has Chinese characters that are translated as "Collectivism Kills." 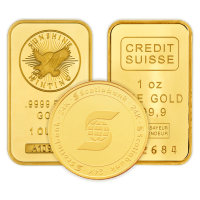 The reverse shows the revised Silver Shield logo with the trivium in the centre encircled by the words "Silver Shield 1 Troy ounce 2015 999 Pure AG" surrounded by 47 bullets. 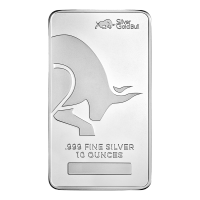 This round is perfect for Silver Shield collector's, and a reminder that you don't need to be a bankster to spread debt and death. This is a limited release.